Microfinance provides banking services to the poor who would normally not qualify. These services usually involve such small amounts of money that traditional banking considers them inconsequential. But to people struggling to work their way out of poverty, any amount of money is significant. Like everyone else, they need a safe store of value for the savings they do have and access to investment capital that they can put to work. For the world’s poor who survive on less than $2 per day, banking services are unavailable. Without access to a safe place to store savings, the poor cannot get a loan to start a business. And without a job or collateral for a loan, no bank is willing to lend. In the 1970s, economics professor Muhammad Yunus began visiting the poorest women in Jobra, Bangladesh. He found they could not get loans except from moneylenders at exorbitant interest rates. Without loans, the women could not buy the bamboo they needed to make goods for market. But with the loans, after selling their goods and paying the interest on the loan, almost nothing was left. This realization led Yunus to a simple truth: A small loan with moderate interest rates to the village women would have a profound and lasting effect on their ability to improve their lives forever. Yunus created and popularized the modern idea of microfinance. He first began lending to the poor out of his own pocket. Later he founded the Grameen Bank in 1983. In 2006, the Grameen Bank and Yunus won the Nobel Peace Prize for their work in creating the simple yet revolutionary microcredit system. In 2003, Yunus gave a lecture at Stanford Business School. In the audience were Matt Flanner and Jessica Jackley, who cofounded Kiva, which means “unity” in Swahili, two years later. Unlike the Grameen Bank, Kiva has carefully selected 246 field partners in 76 countries to manage the loans. Once Kiva has collected enough money for the loan, the funds are sent to the field partner. Over the course of the loan, entrepreneurs gradually repay the loan from their profits. As repayment are made, the money is deposited back into a user’s account. Users can then withdraw the funds or provide the money again to another entrepreneur. The Kiva website provides the online bridge between the savings of donors in the developed world and the needy entrepreneurs in the developing world. And it also puts checks and balances on the process. Kiva holds the rates and practices of field partners accountable. If the partner charges too much or complains about their lending practices, Kiva drops them and finds alternative lending partners. Kiva users hold field partners accountable to make honest loans to worthy borrowers. If users don’t find the project commendable, they won’t donate to them and the field partner must fund the loan by themselves. Creating an account at Kiva is free. Over 1.1 million users have become Kiva lenders. The average for lenders is less than 20 loans or about $479. But the total value of loans made through Kiva is over $550 million. Small amounts make a significant impact over time. Microfinance cannot solve every cause of world poverty. 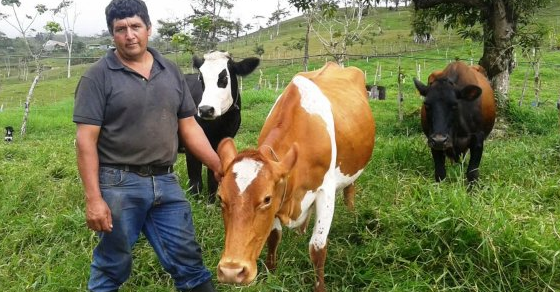 A loan to buy a calf, raise it and then sell it makes sense in many parts of the world. But if you live in an area where armed bandits will come and steal your cow, microfinance doesn’t work. It is even worse when those bandits are corrupt government officials. Microfinance is also not a solution for families on the brink of starvation. Given the choice between feeding the calf and feeding her children, no mother is going to preserve the investment in the calf. Microfinance makes the most sense when it is short-term loans for less than two years. Our first Kiva loan was to Jehiner, a 26-year-old living with his parents in Chiclayo, Peru. He drove a taxicab but needed $725 (2,000 Peruvian soles) to repair his cab. Edpyme Alternativa, the field partner, loaned him the money. Kiva was asked to backfill the loan so the field partner could make another loan. It took Kiva about 10 days to find 29 users willing to loan $25 each. Jehiner had 14 months to repay the loan. Because of the loan, he could continue to earn a living rather than being unemployed. The detailed personal stories help the lenders see people who need capital in the developing world as real people with real needs. Microfinance sometimes does wonders, but it is not the solution to every problem. It only makes sense for those who have some way to repay the loan. Kiva’s repayment rate is 98.95%. Processing microfinance is just as expensive as big banking, but the profits are smaller. As a result, fees and interest are higher than traditional loans. Kiva helps keep those costs down somewhat. Optional fees and donations help support the cost of running Kiva. Nothing is taken directly out of the loans. As a result, only the in-country operational expenses burden the loans. Microfinance is an interesting field, and you can get involved in several ways. With as little as $25 you can begin loaning money to developing world entrepreneurs. Or you can give a gift certificate to someone you know who might be interested. Kiva’s user interface is both intuitive and enjoyable. You can search by multiple criteria to target a very specific type of loan. You can search by gender, country, industry, popularity or timeliness. The University of Virginia has several ties to Kiva. Jessica Jackley, Kiva’s cofounder, attributes the time she spent on UVA’s semester at sea for sparking her interest in microfinance. UVA also has a student lending team as well as an alumni lending team. Kiva’s social networking community helps participants see the aggregate impact of microloans as well as encourage involvement through social media. You can join our firm’s lending team at kiva.org/team/marotta_wealth_management. We loan because we believe the entrepreneurial spirit within a country with economic freedom can raise the world’s standard of living. Kiva helps alleviate poverty in developing countries as well as alleviate materialism in developed nations. Personalizing stories in the developing countries helps us distinguish between needs and wants. By living a simple lifestyle, your savings can enable others to simply live. Kiva helps foster this generous attitude as well as provide a forum for what to do with the money you are not spending.